After finishing a big race (or in my case a big season of racing), I’m always thinking about what’s next. I’ve had quite the fall, with a bunch of races and a number of new PRs (in the 10k, the ten miler and the marathon). I thought I’d put some thought to what is going to come next for me. Read on and tell me about the rest of your fall – and beyond! So, in my immediate future, I have two half marathons this month and a potential Thanksgiving Day race. I’m running the Richmond Half Marathon on November 14th and I’m so excited because Richmond is my favorite marathon and I think I’ll like the half marathon as well. A week later I’m running the Annapolis Running Classic (another half marathon) and I always love racing in Annapolis, so I know it’ll be fantastic. Remember, I’m actually an ambassador for both these races, which is so fun. If you are interested in Annapolis, use code CCREF15 for 10% off of registration – hope to see you there! After the half marathons (crazily enough, they will be my first half marathons this year – but races 19 and 20 for the year! ), I will probably run a turkey trot. I’ve done the SOME Turkey Trot for the past few years but have been itching to run a little longer on Thanksgiving morning. There is a 5 miler in Alexandria that just might fit the bill. OR I can just run to the SOME Turkey Trot for extra mileage. Lots of choices! As for what will happen after November, that’s a very good question. I know I want to train for a marathon next year. Right now, I’m leaning towards a spring half marathon with the goal of running sub-2 (I’m at about 2:05 right now) and a fall marathon with the goal of hitting 4:30. I’m considering what that spring half might be. Contenders include Shamrock, Savannah and potentially DC (although I’m not sure about that because I don’t love Rock n Roll races). As for the fall marathon, I have no clue. Well, that’s not entirely true. I am considering entering the lottery for Chicago and/or New York. I know that I hated how crowded the course was at Marine Corps, and both those races are bigger, but both utilize an actual wave start as opposed to MCM, where everyone starts at once. I’ve heard that while you are never alone, you don’t have to worry about being stuck behind walls of walkers in the first few miles in both Chicago and New York. I think I’d actually prefer to do Chicago over New York, at least next year. I know that New York is a tough course and given the hilliness I think Chicago might offer a better chance to hit my time goals. But who knows? I have some time to figure that out and of course, it all depends on if I get lucky in the lottery. Have you already started planning your 2016 race calendar? What’s on your list? I have done so many destination races over the years that I think for 2016 I want to do more local races that i’ve never got the chance to do. After a while traveling gets old and a little tiredsome. Why don’t you like RnR races? I don’t hate RnR I just don’t love that they are so expensive, the organization can be much better (at least in DC) and for example, during the full in DC, the whole back half of the race is basically empty – no bands, etc. I don’t think they support the full marathoners, which is kind of crappy in my opinion. Completely agree about the DC RnR marathon, Courtney. It was total crickets once we split from the half-marathoners. At one point, the course was so poorly marked that we definitely ran right over a median (there were cones there! We had no idea what was going on…). I hear the half is just fine, but definitely wouldn’t recommend the full. Savannah could be fun (I know nothing about the city and course), and Shamrock would be a nice redemption run. So fun… Chicago Chicago Chicago! Sooo I failed miserably and missed the Berlin lottery entry by 6 hours 🙁 Chicago is at the top of my maybe list if I do not go with the Berlin tour group option. Oh no – sad to hear about Berlin 🙁 But yay Chicago! 🙂 Oh I forgot to put… Philly Love Run is a nice PR course! I just made my draft race schedule for next year too. It’s amazing to set these goals and just be like, yeah, got it. Check! Our already know my vote for the spring. I ran the marathon at rnr DC this year and I wasn’t super impressed with it…I liked the Nike Women’s race in DC way better. So sad they did away with that one. Have you considered Richmond again for a full? I’m already thinking about a full next fall as well. I’m considering entering the lottery for NYC and MCM but some of that depends on finances. NYC will be expensive. I like the idea of running a course again so I know what to expect. We will see, keep me posted! Richmond is always on the table, but I like exploring new races as well. But (as you will soon see), Richmond is a FANTASTIC race! I hope you enter the lottery for the NYC Marathon as I’ll be running it next year and I’d love to meet you! I would suggest not doing the RnR DC race. I did the half this year and it was one of my least favorite races of the year for a bunch of reasons. So far my confirmed races for 2016 are RnR SanDiego, RnR Chicago, NYC Half Marathon, NYC Marathon. I did a lot fo races this year so I want to focus more on quality vs quantity for races in 2016! I’m so itching to do a half this month. But my PF is holding me back. I need to let it calm down and not turn into something bigger. Ugh. Looking forward to see you crush your goals in 2016! Shamrock would definitely be a great race to push yourself for that sub-2 finish. While I like RnRDC’s course, there is the big hill at mile 6 to contend with, which might make it more of a challenge to reach your goal. (Not impossible, just more challenging). Yeah, that’s totally true. BUT I could also train on the hill a few times, which would help. I think I’d rather just cheer for RnR since it’s right by my house and race another one, like you said! I think Chicago would be great to run! I’d love to do it one day, but I’m thinking Richmond will be my fall marathon next year. I’m doing at least one more half marathon this year (this Saturday actually) to try and break 2:00, my current PR is 2:05 as well. As for spring races, I’ve done the Cincinnati Flying Pig the past two years (the half in 2014, the full this year) and it’s a wonderful race. So much race support the entire way and just a really well done event from start to finish! I’ve heard great things about Flying Pig! Richmond is a great fall marathon – you’ll love it! Good luck breaking sub-2 — you’ve got this! Reading this article http://well.blogs.nytimes.com/2015/10/08/crossing-the-finish-line-25-pounds-lighter-guilt-and-all/?WT.mc_id=2015-KWP-AUD_DEV&WT.mc_ev=click&ad-keywords=AUDDEVREMARK&kwp_0=50871&kwp_4=289100&kwp_1=199459&_r=1. Inspired me to take a brief break from the marathon and focus on gaining some speed in the shorter distances (ie mile, 5k, 10k). So building speed in these distances is going to be my 2016 goal. I read that one! I would like to spend the spring focused on shorter distances then build back up for a fall full. COURTNEY!!!!! I feel so excited just reading this post!!! I can not WAIT to see what the next year brings for you; you’ve been training and working so hard and I know this is going to be a big year. I’ve gone back and forth about putting my name into the lottery for Chicago next year; I’ve got Bird Camp and Olympic Trials to watch/pay for in July, but it could work out if I mind my pennies. GAH! So many exciting possibilities for you!! i’m doing bird camp and trials as well – but the trials ticket is already paid for – just have to save for camp and flight. do it do it do it!!! You’ve had an impressive race schedule this year!! I really enjoyed the Shamrock half (esp compared to the full cause it was way easier) and the Dolphin challenge is fun (and my current 8K PR)! I haven’t even started to think towards next Fall, need to see how running goes the next few months and then plan for a come back half (and maybe full, who’s knows!) Good luck!! I don’t love Rock ‘n’ Roll races but I really, really love the DC Rock ‘n’ Roll Half. It takes you through parts of the city that other DC races don’t take you to, which is refreshing since they all tend to be pretty similar. Running through Rock Creek and Adams Morgan is absolutely incredible! I have no idea what I’m doing next either. I don’t want to train through the winter, but I don’t want to wait a full year for my next marathon so it’s a toss up. I’ve only run once since Chicago…I needed the break, but I’m ready to jump back in! i like the half but i think i like cheering for it more 🙂 the course is fun but i’m not sure it’d be a sub-2 course for me. i’m traveling a bit over the next couple of weeks but we are overdue for a run! I’ve done the Alexandria Turkey Trot for the past few years and it’s great. It’s much smaller than the SOME race but has this great neighborhood Thanksgiving day feel. I definitely recommend it! I did Chicago a few weeks ago as my first full and I have nothing but good things to say about it! (Except for the unseasonably warm temps but can’t win ’em all). Great crowds, expo, aid stations, volunteers, beautiful flat course (except for the finish). I’m likely biased because I grew up near there but I loved the experience so much I would do it again! Good luck on your next races – your posts are so inspiring! I just ran NYC and it was very tough. I would love to run Chicago but for 2016, it will be the weekend after I return from a 2-week European trip which won’t be good. I am planning on holding out on Chicago until 2017. In the meantime, for the Fall i think I am going to do the Nike Women’s Half in San Francisco. It is a a short plane ride from LA and I found that if you are a student, you can get guaranteed entry! It will be my last fall as a student so I want to take advantage of it! I know whatever you decide,you will do great! Can’t wait to hear more about NYC ! Def take advantage of that student entry for Nike!!! I love your goals and totally doable!!! You will get those times for sure. Good luck in your upcoming races! You will rock them! Sandra Laflamme recently posted…Sometimes when you are not running life happens . . . I have one more race in two weeks and then I have my calender completely open. Usually I am already planning for 2016 but not this time. I am hoping to rest my knees and feet a bit more. So not planning anything too crazy. There are many nice race options for you and your goals sound not only realistic but achievable. The NYC Marathon was far better than I could imagine. Be forewarned though that it is not a PR course given the level of difficulty. I actually thought it was tougher than the Boston Marathon. The wave start is hugely helpful, but there is tons of crowding on the course. Chicago is supposed to be a flat fast course and I hope to be running that one next fall. My calendar for next year already has two marathons, the Mickey Marathon at WDW in January and the London Marathon in April. Mickey will be a goal marathon and London just for fun! I’ve heard “harder than Boston” a bunch this week about NYC. I definitely think Chicago would be a much better goal race! I love that you’re doing London. So amazing!!!!! I am always thinking way ahead to what is next so my big goal races for 2016 have been set for some time! If you are looking for a fast half, and you don’t mind running earlier in the year you should come run in Phoenix on February 27th. I’ll be running the full marathon there this year! Oooh….that is tempting. Not sure if my speed will be ready but I know that’s a fun one…hmmm…. I am returning to marathons and tossing my name in for NYC, if that doesn’t happen I am going for Chicago. Woohoo!!!! Yay for your return to marathons! I think the Chicago lottery opens first, have you checked? Chicago is a better goal time race for sure. The course in NYC is not very forgiving but it is awesome! If you come to Chicago, I will cheer you on!! Wow you already have a great list!!! Love that you already have your marathons well timed! I vote for Shamrock in the Spring!! I’m at a loss as to my plans yet. I’m also blocked as far as the blog right now. Hence no post on my what comes next…lots of soul searching to do!! I think Chicago or NYC would be great! You should consider Shamrock. I love that race, it’s very people friendly and it’s a great course. Yeah, it’s high on my list right now!! That is crazy these will be your first half marathons! Are you doing them for fun or to try for a PR? I love both NYC & Chicago and have also thought of entering the lotteries to do one as my first full. But I ruled them out for different reasons. Just a thought….. When I was walking to the start of MCM, I talked to a man who has 10 marathons under his belt and he suggested that I definitely do the Chicago marathon if I had another marathon in the future. Thought I’d pass that on since you mentioned it in this post. yes, chicago is def high on my list!! I’m sad I can’t do either of these races! Love the Annapolis Classic, one of my favorite half marathons but alas, Philly awaits! I have a couple races planned for 2016 already but they are racecations with friends. Phoenix in January and NJ in April. I’m scheduled to run RNRDC because the half is one of my favorites and I registered for like $40. Several of my Pittsburgh friends are coming here for that race too so it’ll be a little meet up. Beyond that I’m taking a wait and see approach! 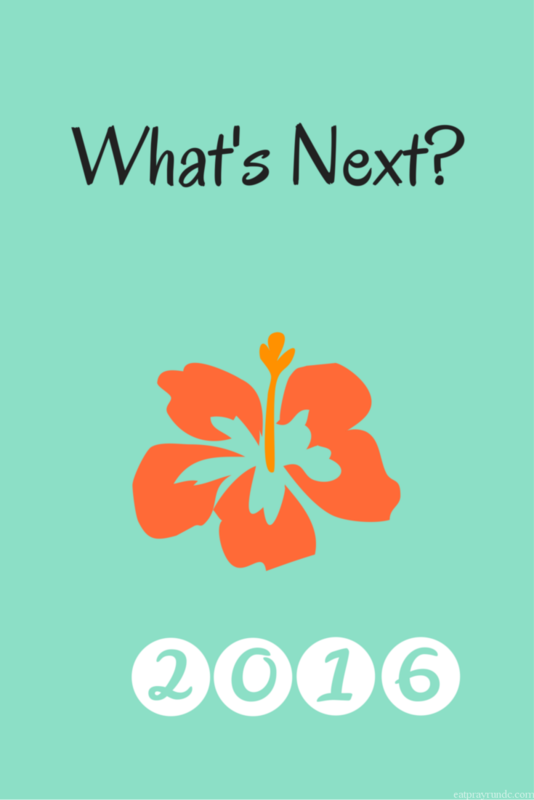 I’m not ready to plan for 2016 yet! I know I want to do Cherry Blossom again and the Love Run in Philly…I was thinking about RnR DC Half, but I’m not sure yet. Hope to see you in a few weeks in Annapolis and FINALLY meet!